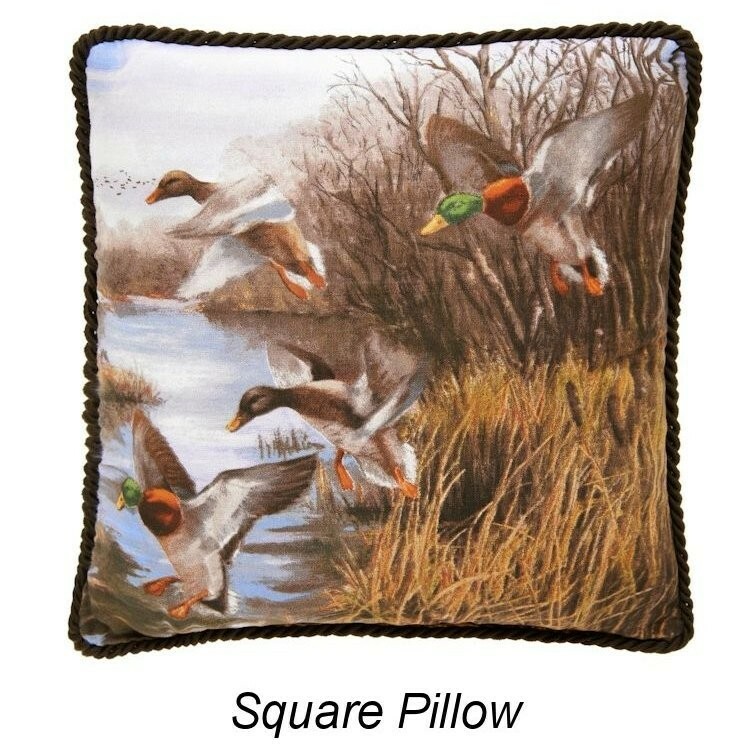 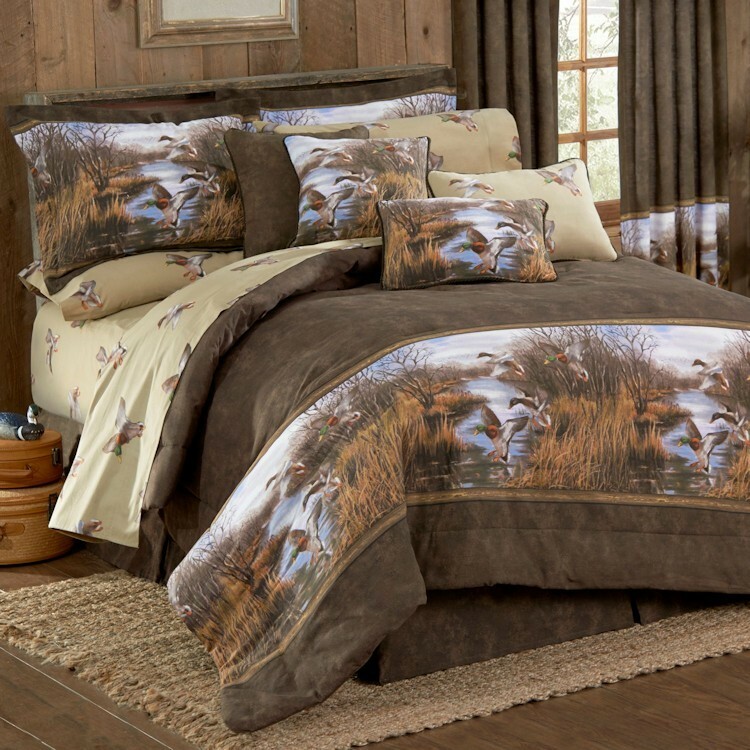 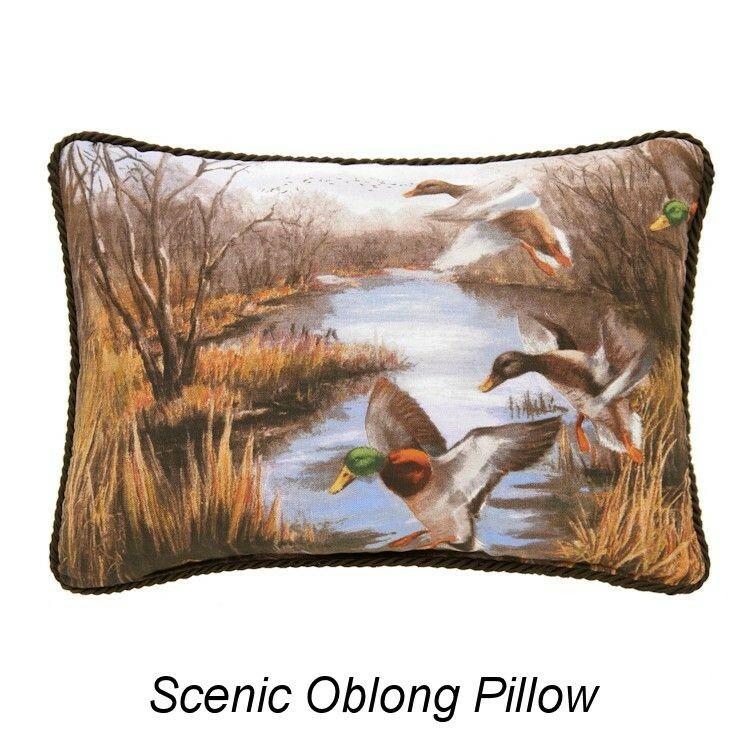 The Duck Approach Bedding features comforter sets with a panoramic scene of mallard ducks landing in a grassy marsh. 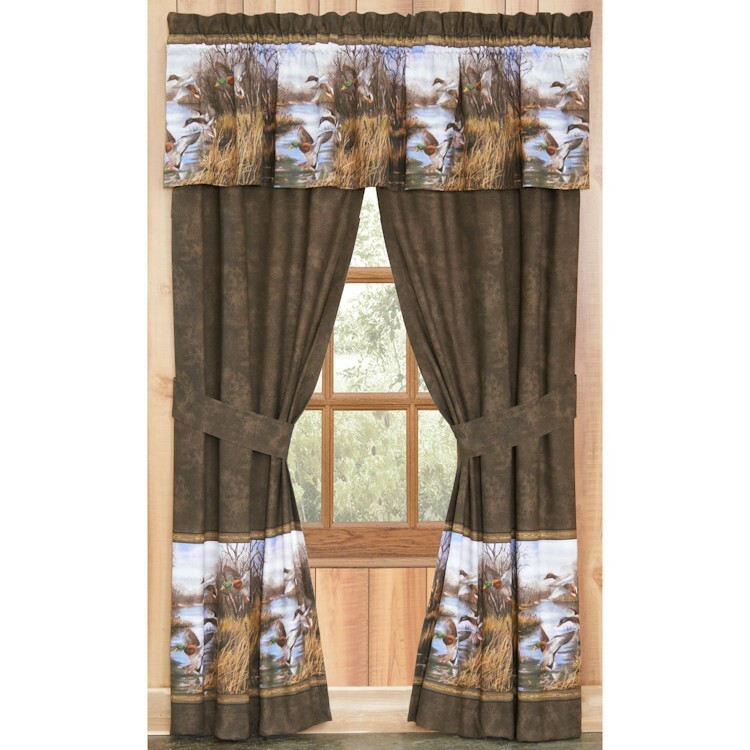 This colorful fall border is set on a background with the look of brown suede. 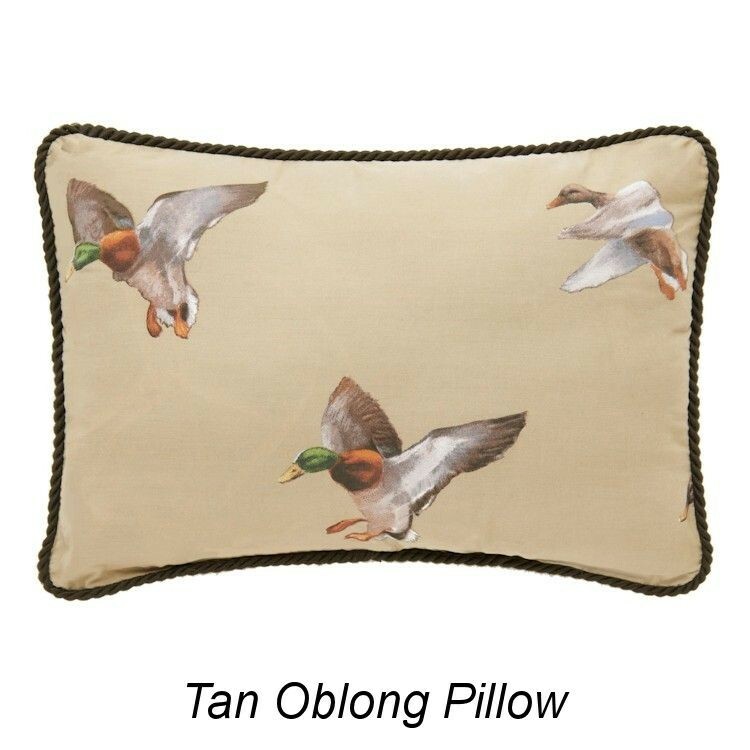 The scenic design is carried on to the pillow shams with a basic tailored bedskirt echoing the brown suede look.